Yellow lights are a warning, a caution for drivers to slow down; however, many drivers take it as a sign to speed up and make a mad dash through an intersection. Red light running is a serious intersection safety issue. According to the Insurance Institute for Highway Safety, in 2013, 697 people were killed and an estimated 127,000 were injured in car crashes that involved red light running. About half of those killed were pedestrians, bicyclists, and occupants in other vehicles who were hit by the red light runners. Simply put, red light running is when a car enters an intersection any time after the signal light has turned red. In addition, when it is permissible to make a right turn on a red light, motorists who fail to come to a complete stop before turning could be considered red light runners. However, motorists who may be in the intersection waiting for the signal to change to make a left turn are not considered red light runners. Running a red light is not about you risking a traffic ticket; it is about you putting the lives of other drivers and pedestrians at risk. There are at least 3 million intersections in the United States and at least 300,000 have signals. 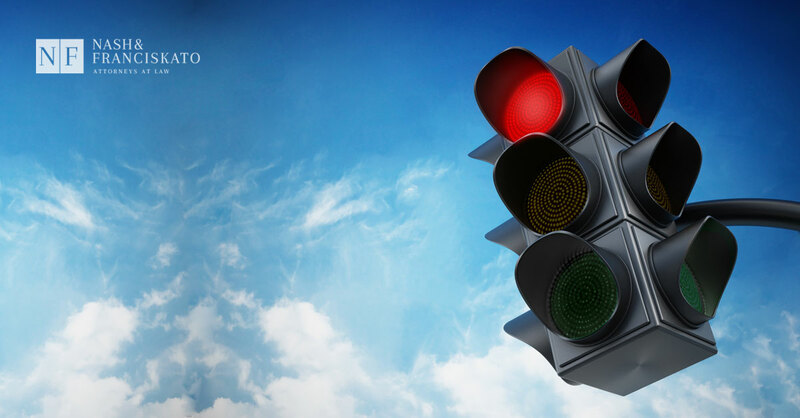 Nationwide, more than 3.7 million drivers ran a red light in 2014 (NCSR). Red light running is the leading cause of urban crashes, according to the Insurance Institute for Highway Safety. According to data from NHTSA, 7,799 lives were lost from red-light running between 2004-2013. Red-light runners are more than three times as likely as other drivers to have multiple speeding convictions on their driver’s records. Listen to this story about Amanda who was severely injured when a dump truck driver ran a red light and broadsided her SUV. The good news is that red-light running crash fatalities decreased 22% from 2007 to 2011 as the number of red-light safety cameras increased, and during that same time, 201 fewer people died. (NHTSA). August 2-8 is National Stop on Red Week. Join The National Coalition for Safety Roads to help spread the word to stop on red.